According to KRIS-TV of Corpus Christi, TX, a family source confirms that the Phillies have signed right-handed reliever Mike Adams, pending a physical. The deal is said to be worth $18 million, and is a three-year deal. The third year is a vesting option if Adams pitches 120 innings in 2013 and 2014, with at least 60 of those innings coming in 2014. 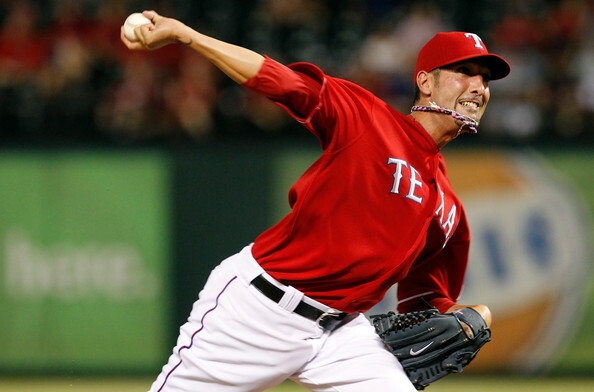 Adams, 34, is coming off another solid year with the Texas Rangers. Adams went 5-3 with a 3.27 ERA in 61 appearances. Adams struck out 45 and had a WHIP of 1.395 in 52 1/3 innings of work. Adams has a 1.98 ERA over the past five seasons, which is third lowest of any reliever in baseball with at least 153 innings pitched. The addition of Adams bolsters a weak bullpen that was one of the worst last season.